Hot dip Galvanizing has been used for many years to protect components an cars and trucks. At first it was used only on low volume, specialist makes such as Rolls Royce, Land Rover and Lotus. BMW used it on the ZI, precursor to that Z3. However, the consumer driven requirement for longer and longer anti-rust warranties led the car producers to start using zinc coated sheet steel for car bodies. The galvanized steel used for car bodies is very different to the galvanized steel used for, say, crash barrier in the middle of a motorway. The difference being in the thickness of the zinc coating. The steel used in car bodies is galvanized at the steel mill before it is cut, pressed, punched, and welded into place. The galvanizing is done as a continuous process with steel strip being taken on rollers through the cleaning processes and then in and out of the molten zinc. Afterwards, air knives control the thickness of the zinc coating by removing any excess. Typical coating thickness for auto body panels is 6μm. Contrast this with the coating thickness on items, such as crash barrier, which are dipped in zinc after they are manufactured. Here the coating thickness can be ten times or greater than for the pre-galvanized metal. These thicker coatings give long-term protection without the need of an additional paint coating. There are a few cat manufacturers who use the superior, galvanized after manufacture method of protection for their vehicles. One of them is Renault in France for its popular Espace. 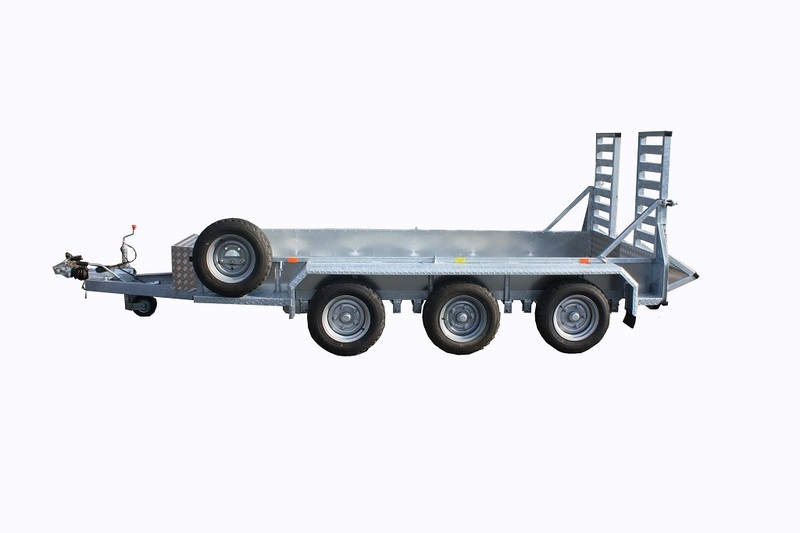 Although the chassis of most popular passenger cars are not normally galvanized after manufacture, small trailers which are towed behind them often are. These light trailers are becoming more and more popular as people come to appreciate how useful and cost-effective they can be. They can be invaluable to anyone wishing to move animals, goods or equipment around but cannot justify the expense of an additional goods vehicle. They can also allow the maximum utilization of existing commercial vehicles. Most trailers manufactured today are designed and constructed to a very high standard and will often outlast the towing vehicle. 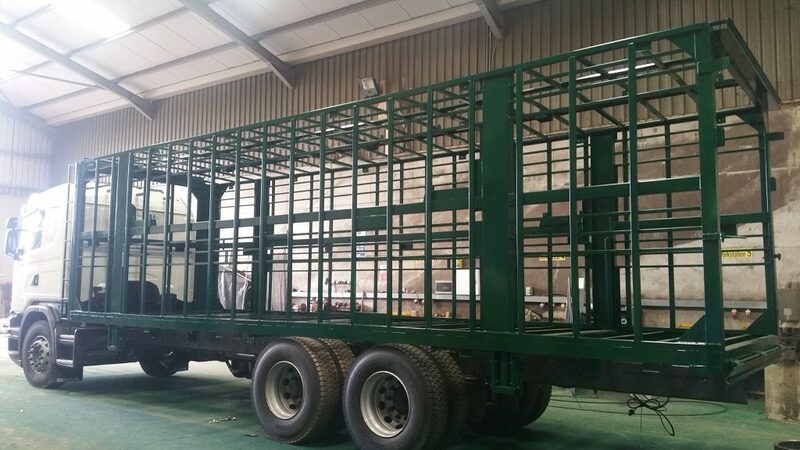 They have hot dip galvanized steel chassis and framework and make extensive use of other low maintenance materials such as aluminium and thermos-plastics. The traditional method of truck body corrosion protection, paint, is being challenged as trailer manufacturers seek long life, low maintenance materials. The reason is straightforward. More and more vehicles (and trailers) are leased and not purchased by the user. The cost of leasing, which is extremely competitive, is influenced by several factors but to major ones are residual value (i.e. the value of the vehicle at the end of the contract) and maintenance costs during the term of the lease. Hot dip galvanizing makes steel into a long life, low maintenance material. The use of hot dip galvanizing in commercial vehicles can be divided into two categories: the chassis and what goes on top of the chassis, or superstructures. Several trailer manufacturers in Europe now offer galvanizing as an alternative to the traditional paint finish. The relative freedom from maintenance of a galvanized chassis is ultimately reflected in its running costs. Galvanizing adds to the unladen weight which is offset by fitting equally long life alloy parts, but the additional cost of purchasing this low maintenance unit is rapidly recouped in lower repair bulls and the elimination of a major re-paint. Galvanizing has long been used for body components such as roof sticks but now it is commonly used on more visible parts such as the entire rear frame, tail lifts, door gear and side posts all of which can be left unpainted. In the past, transport engineers regarded painting of galvanized body parts as a worthwhile belt-and-braces measure, even though it negated the maintenance-free advantages of the process. People who restore classic or vintage cars know that a fully galvanized chassis will last considerably longer without maintenance than a painted chassis. Therefore, many cars have been “restored” to a higher specification than that on the original manufacturer! In some cases, such as Lotus Elans and Elites from the 60`s and 70`s some original chassis were not galvanized and this is an important feature to check when selling or buying. Lotus have galvanized their chassis ever since. The Land Rover, which has become an institution for farmers, was originally designed in the 40`s with longevity in mind. In order to prevent rust, many of the steel components such as bumpers and door hinges were galvanized and the body panels were made of aluminium. Not surprisingly, many of these early Series I and Series II vehicles still exist and there are companies which specialize in the supply of replacement galvanized chassis for them. Even the Defender, which is the direct descendant of those early vehicles still has galvanized wheel arches and other components. Military versions haven`t moved from galvanized bumpers. Motor manufacturers are competing to offer linger and longer warranties for their vehicles. Sheet galvanized steel has become almost standard for body panels subjected to the worst conditions. However, there are several components under the car such as sub-frames and suspension units, which are subjected to even worse conditions and so need improved protection to last as long as the rest of the car. It is noticeable that Scandinavian manufacturers such as Saab and Volvo, who have the harshest road conditions in winter, use galvanizing to protect some under body parts.